It turns out, if you'll forgive the pun, that the wire supplied with the much vaunted Tortoise turnout motor and which acts as a lever to connect with and operate the set of points is generally considered to be too flimsy and should be substituted with a wire of a stouter gauge: 0.8mm piano wire being oft mentioned in the internet forums. This is irritating for 2 reasons: firstly, one has to source and the buy approx a 10cm length of piano wire - maybe it only comes in 10 metre sections. Secondly, one has to drill a hole in the Tortoise motor to accommodate this thicker wire. 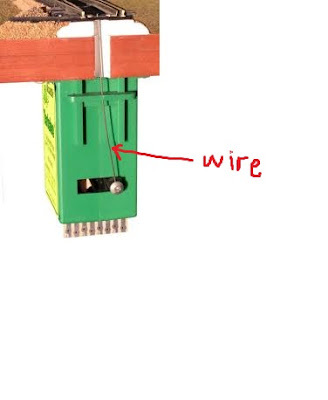 The net result of this discovery is that whereas I had intended to spend some part of today installing one of these motors on my test track, now I can't; and, won't be able to do so for an indeterminate number of days: need to source the wire and buy a very thin drill bit. This latest instance of frustration has led me to draw up the following 5 rules to be followed when installing a new gadget for the model railway. 1. Before purchasing any gadget be prepared to spend at least 1 hour reading reviews in case an alternative gadget is more reliable or easier to install. 2. On receiving the gadget be prepared not to understand the instructions initially and to thus spend several hours over several days doing so. 3. Be prepared to spend 1 hour searching for and watching youTube videos showing you how to instal the gadget. 4. Tip: watch said videos with the actual gadget beside you. NOTE: THESE FIVE RULES CAN BE SUMMED UP BY THE ADVICE "BE PREPARED TO WAIT FOR AT LEAST A WEEK BEFORE THE GADGET CAN BE INSTALLED." ALSO NOTE: these rules are not relevant to technically minded people. They will have such rules engrained in their character. Perhaps, eventually, these rules will become second-nature to me. That would be a beneficial spin-off from this hobby. Category: Albums with only one really great track on them. 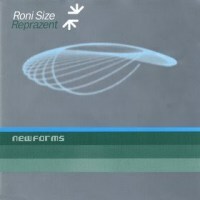 Roni Size won the Mercury prize for innovative new pop music in 1997. It's an OK drum'n'bass album, but one track stands out, namely, the title track, New Forms. It is one of those tracks that when you hear it at first blows you away. It sounded and still sounds like absolutely nothing else. The eccentric element of the track is the vocals by a female called Bahamadia. I can't describe how peculiar sounding they are, at times it's like listening to Esperanto. PS on replaying the album, I quite like a track called "Morse Code".